Residents of The Woodlands can now enjoy a hassle-free commute to the Houston Livestock Show and Rodeo on weekends by taking The Woodlands Express directly to NRG Stadium, beginning Saturday, March 2, 2019. The Woodlands, Texas – January 24, 2019: Residents and visitors of The Woodlands and surrounding areas now have an easy and convenient way to enjoy the Houston Livestock Show and Rodeo, thanks to a recent action by The Woodlands Township Board of Directors. 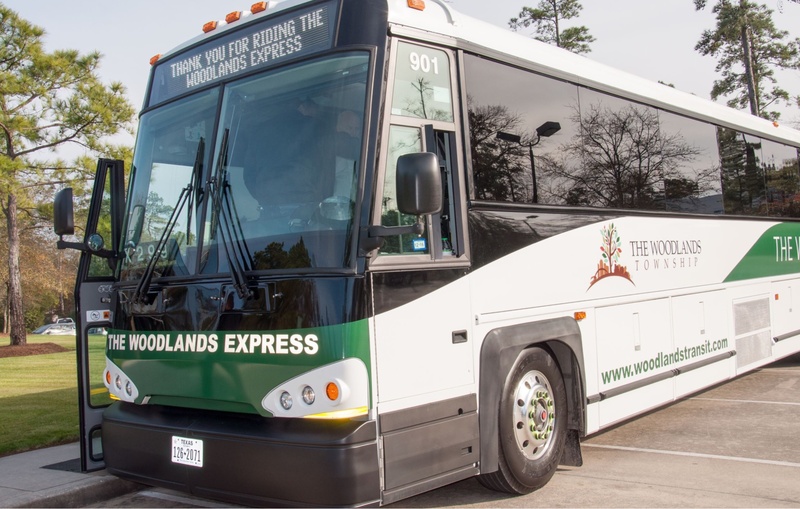 The Woodlands Express, the Township’s Park and Ride transportation service to Houston, will be heading to NRG Stadium on weekends during the rodeo, offering riders an opportunity to enjoy all the festivities without driving and parking concerns. Service will be provided three weekends during the rodeo: March 2 and 3, March 9 and 10, and March 16 and 17, 2019. The cost of round-trip transportation to the event is $25 per person. This is a special service, and therefore The Woodlands Express regular tickets are not valid. Beginning Saturday, March 2, 2019, The Woodlands Express Rodeo Service buses will leave the Sterling Ridge Park and Ride location with return trips leaving NRG Stadium from the METRO/Rodeo Express pickup location. Trips will run throughout the day and evening at scheduled intervals. The schedule is posted online, and reservations must be made, at www.thewoodlandstownship-tx.gov/rodeo. Beginning Saturday, March 2, 2019, The Woodlands Express Rodeo Service will leave the Sterling Ridge Park and Ride location with return trips leaving NRG Stadium from the METRO/Rodeo Express pickup location throughout the afternoon and evening at scheduled intervals. Follow this link to make RESERVATIONS. Reservations are required. View Preliminary Schedule (subject to change).